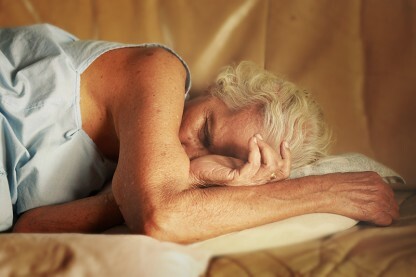 New studies show that lack of sleep may be related to prediabetes. Learn how getting enough sleep could help reduce your risk. Prediabetes means that a person has impaired fasting glucose, or higher than normal levels of blood sugar. They aren’t yet diagnosed with diabetes, but their glucose levels are considered higher than they should be. If your fasting blood sugar is between 65 and 99 mg/dL, it is normal, and between 110 and 125 mg/dL is considered in the prediabetes range. If your fasting blood glucose is higher than 126 mg/dL, you’ll be diagnosed with diabetes. Even slightly elevated blood sugar readings can be dangerous, damaging your heart, brain, and more. Prediabetes is a risk factor for diabetes itself, as well as cardiovascular disease. Learn more about prediabetes and the optimal blood sugar range you should shoot for in The “Normal Blood Sugar Range” May Be Misleading You. So what is prediabetes caused by? One risk factor may be lack of sleep. Could getting sufficient sleep help reduce your risk for prediabetes? Several studies have found a link between both sleep quality and quantity with prediabetes. A study published in the journal Sleep Disorder in 2015 looked at data from 982 participants. After controlling for other factors, the researchers found that people with poorer sleep quality had more than a two-fold risk for prediabetes. Similar results have been found in other studies. Answers to Take You from As to Zzzzzzs! 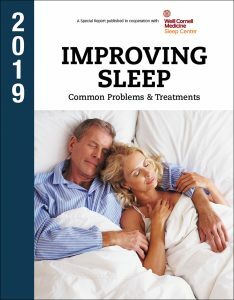 Pinpoint the factors that are preventing you from enjoying an uninterrupted good night’s sleep with Improving Sleep: Common problems and treatments. 2019 edition is available now! Another study from 2014 followed over 2,000 participants. The results showed that people who slept fewer than five hours per night were more likely to be clinically identified as having prediabetes. Prediabetes risk was also higher for those who had trouble staying asleep at least five times per month, as well as those who woke up too early more than five times per month. Getting sufficient rest through plenty of good, quality sleep is essential for a healthy body. Sleep is now known to help regulate glucose metabolism through a variety of mechanisms. When sleep is disturbed, our bodies can’t properly control blood sugar, which can lead to higher than normal levels of glucose and prediabetes. If left untreated, these problems can escalate and lead to full-blown diabetes and other health problems. Sleep problems also impact the body in other ways. Sleep disturbances can lead to brain damage, depression, and trouble losing weight. Share your best tips for getting more restful sleep in the comments below. Which strategies work for you, and which don’t? Clin Endocrinol (Oxf). 2013 Apr;78(4):518-24. Diabetol Metab Syndr. 2015 Mar 24;7:25.
blood sugar, blood sugar range, brain, brain damage, cardiovascular, cardiovascular disease, control blood sugar, depression, diabetes, Does music help you sleep, elevated blood sugar, glucose, glucose levels, health, health problems, how to help insomnia, insomnia 2, insomnia treatment, lack of sleep, losing weight, metabolism, music, natural sleep, natural sleep aids, normal blood sugar, normal blood sugar range, prediabetes, prediabetes range, restful sleep, sleep, sleep disorder, sleep disturbances, sleep help, sleep problems, sleep quality, studies show, sugar, trouble staying asleep, What is prediabetes.